There’s nothing like a Meatless Monday and the taunts from your food-world friends reminding you how pathetic you were during your vegan days to make you hungry for a nice, juicy, pan-seared piece of steak. And so, today I visited my friendly neighborhood butcher for a few dirty jokes, a lesson on inventory control, and some sirloin. 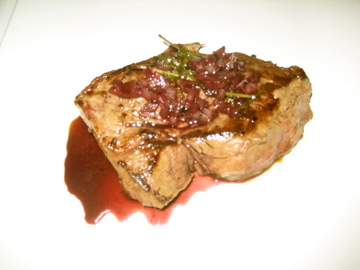 Red wine pan sauce. Yes. First, cook your steak. For tips, check out my last post on steak. 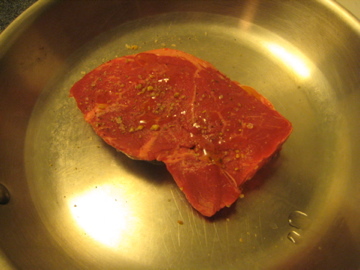 Rest your steak on a plate under some tinfoil, then prepare your sauce in the same pan used to cook the steak. 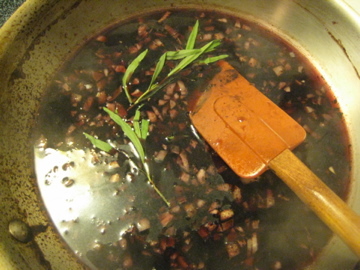 Deglaze the pan with 1 1/2 cups red wine (Shiraz or similar). 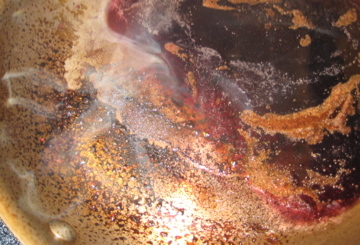 This means you will pour the wine into the pan and use a spatula to scrape the delicious meaty bits from the bottom. Over medium heat, add one minced shallot and a few sprigs of thyme. If you don’t have thyme, use sage. If you don’t have sage, use rosemary. 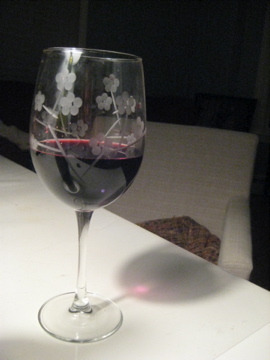 If you don’t have…you get it. Simmer the mixture until reduced by 3/4- this will take about 10 minutes or so. 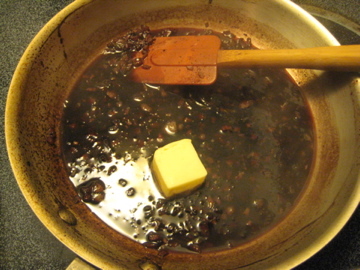 When the sauce has reduced, remove pan from heat and add 2 tbsps of cold butter to the pan. Enjoy not being a vegan.